Greetings from the Embassy of Belgium in Manila! The people in the Cordillera Administrative Region are close to our hearts. My latest visit to the Cordillera dates back a few months only. 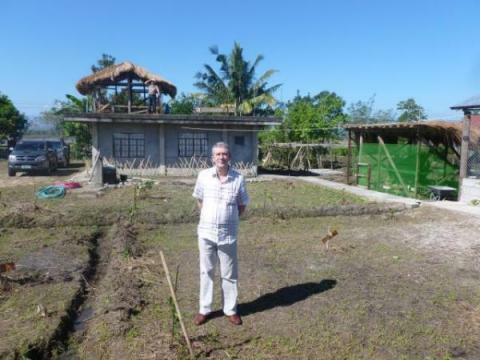 In February this year, I was in Kalinga Province with a delegation from the Belgian Province of East Flanders, led by Governor Briers. We were accompanied by a representative of Solidagro, a Belgian NGO active in various places in the Philippines, including in the Cordillera, where they partner with CDPC (Centre for Development Programs in the Cordillera) and CPA (Cordillera Peoples Alliance). The situation of the indigenous people in the Philippines has been marred with tragic developments over the past few years, among which are the killing of human rights defender William Bugatti on 25 March 2014 in the Cordillera, and the killings of Emerico Samarca, Executive Director of the Alternative Learning Center for Agricultural and Livelihood Development (ALCADEV), Dionel Campos and Datu Bello Sinzo in the Caraga Region in Mindanao on 1st September 2015. All were partners of Solidagro. We continue to follow these developments closely, as they have implications for the work of foreign NGOs, and we are conscious of the many challenges encountered by the human rights defenders who give their time, energy and even their lives for the advancement of the Indigenous Peoples’ Constitutional rights. Happy Cordillera Day to all of you! And please also have some thoughts for your brothers and sisters in Mindanao on that special day of celebration. This is my solidarity message to you and – through you – to all the indigenous people in the Philippines.